Here at Hollywood News Source, we’re huge Swifties. So in honor of Taylor announcing the release date of her sixth album (YAY! ), we chose the top 5 songs that make us break out into song and dance. And make sure you’re on alert for her first single tomorrow night! This song is just beautiful. There’s no other word to describe it that would do it justice. Every time it comes on my phone, I have to turn up my car radio and just jam to it. The lyrics are fantastic, and it just pulls at the heart strings. She sings about a love story that is, well, enchanting. After listening to the song, you suddenly find yourself the biggest hopeless romantic out there. The lyrics are powerful and meaningful and screams of a fairy tale love. It’s one of my absolute favorites of Taylor’s. Have I mentioned how beautiful the lyrics were? This song is so empowering. I swear, if you’re ever feeling defeated or sad, turning on this song makes you believe that you can conquer whatever it is that needs to be conquered. It teaches you to stare fear into the eyes and be the queen of your own life. So while those mean people are out there, this song empowers those who’ve been pushed around. It shows you that things will get better, and that nobody can ever have that much power over you. It isn’t a song that makes you weep, but one that really motivates you. I love her message that bullies do not win! Honestly, if you don’t start dancing to this when it comes, what are you doing? It’s such a feel good song. And like I said, the perfect song for dancing. However, there is a message amongst the dancing. Taylor Swift is telling you to “shake it off.” Those rumors being spread around school? Shake it off. That boyfriend that broke up with you for another person? Shake it off. Those mean girls or boys at school? Shake it off. You dance to the beat of your own drum, and I think this song fully embodies that message. “Haters gonna hate,” right? You can’t let it get to you. This song is just so darn cute. Think back to that time when you were crushing on that guy or girl at school. Just like it’s seen in the music video, you’re questioning why they’re with the other person and not you. The song is so relatable, but it does have a happy ending. Maybe you’re not the head cheerleader or whatever it may be, but you’re you. Taylor Swift’s message in this song is the power of staying true to yourself and not changing who you are so you fit someone’s image of what they want. Because eventually, you’re going to be that person to someone. Okay, remember when she performed this live, and it was the most chilling performance ever? Same. There’s just something about this song that I can’t help but love. It pulls at the heart strings, that’s for sure. It’s all about reminiscing of a past relationship. However, it isn’t a song about revenge or spit or sadness. It’s about thinking of the good times and things that remind you of that person you miss. Remembering that person can be hard. It can hurt and make you cry and feel like you’ll never find love again, but it’s the fact that you’ve something to hold onto and cherish. November 10 may be a long time away, but she has 5 albums worth of songs to listen to pass time. 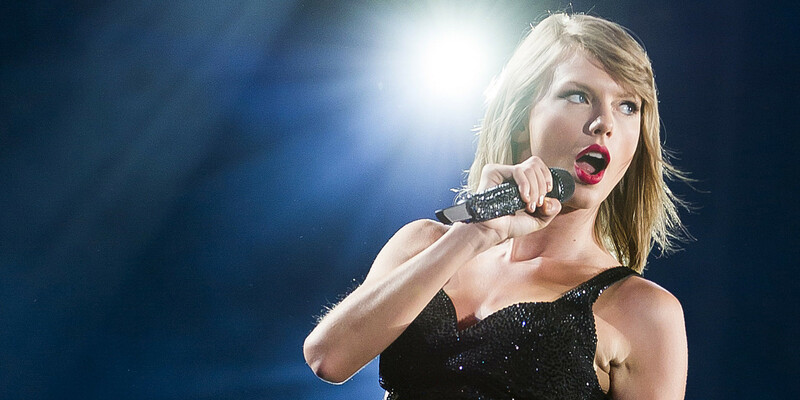 So plug in those earbuds or blast it in your room, and get ready for Taylor Swift’s comeback! We cannot be more excited!